The Australian stock market has made leaps and bounds since it touched its lowest level in the early part of the previous year. Compared to its level in early 2016, it is less than 4% higher now, showing that it has weathered the threats and impacts of major political events like Brexit and the US elections. Despite this significant surge, Australian shares remained behind its global peers like other Asian equities and major European stocks. Will the Australian stock market continue to underperform? Experts believed that Australian shares will keep its mediocre stint this year although it has a great chance to break the elusive 6000-barrier, which was last touched ten years ago. According to economists, the stock in market in Australia will not match the expected surge of its counterparts because of some major factors. One big reason is Reserve Bank of Australia’s tighter monetary policy. Compared to Japan’s, Europe’s, and US’ central banks, the RBA has higher interest rates and has yet to print more money since the 2009 Global Financial Crisis. This led investors to shun Australian investors as they viewed them as riskier investments. Stocks, in general, are known to be sensitive with economic conditions and a tighter monetary policy set by a central bank will likely serve as bad news for the companies in the stock market, which will earn less from such condition. Another driver is the slump in the prices of commodity. Australia is known as the number one producer of the commodity, iron ore. With prices of natural resources sliding, it has affected the stock market in negative way, with resources shares getting less exposure in the broad market. Lastly, high dividends payouts become the most impactful factor to the underperformance of Australian shares. Because of shareholders’ strong demand for high dividends, firms under the Australia’s Stock Exchange do not invest largely, which resulted to low share returns and sluggish earnings growth. At current time, the dividend payout ratio stood at around 75%, a bit higher than the historic norm. The good news is that no financial market perform in a straight line. Either it can rally in the future or worse, slip to a downward trend. 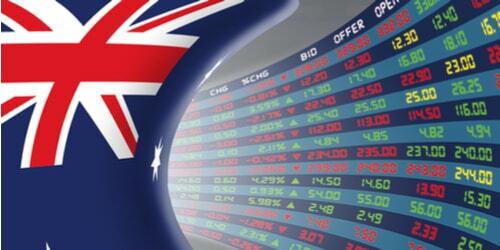 Only time can tell whether Australian shares will be able to rise to the challenge and improve their performances.